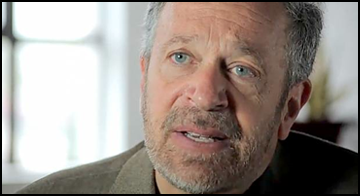 TOP STORY: "College is necessary but gets you nowhere"
Robert Reich (@RBReich) is one of the most popular professors at UC Berkeley. So it was a little surprising to see him write an article in the Huffington Post last week, in which he argued that "college is necessary, but it gets you nowhere". While a college education is now a prerequisite for joining the middle class, the middle class is in lousy shape. Its share of the total economic pie continues to shrink, while the share going to the very top continues to grow. Given all this, a college degree is worth the cost because it at least enables a young person to tread water. Without the degree, young people can easily drown. It's a provocative argument, especially coming from a college professor. You can read the full article here. If you like his ideas (and we certainly do) then you'll want to check out the video below. It's Reich giving a lecture to some of the graduating students from UC Berkeley back in April. Despite the gloomy article he wrote in the Huffington Post, this video is actually really funny...and you'll get some great perspectives about the value of a college education as well. We'd love to know what you think. Do you agree that "college is necessary but gets you nowhere?" Let us know in the comments section below!